Rock Maker 2.8 brings the ability to compare images from Search & Filter results, the ability to search for images without scores in order to score them, the ability to tag drops as interesting and more! The ability to compare images directly from Search and Filter results. In previous versions of Rock Maker, the only way to compare images from Search and Filter was to select the wells from the Canvas tab. Now, you can tell Rock Maker to display images on the Compare tab simply by pressing and holding the CTRL key on your keyboard while selecting individual rows from the search results table. The ability to search for images without scores. You can now set an “is null” search constraint to the well drop score in order to see a list of all images that do not have scores. You can then either score the images, or delete them if you are trying to “clean up” experiment results and wish to save disk space. The ability to tag drops as interesting. You can now tag certain drops as "interesting" in Rock Maker, and instruct Rock Imager to image only those drops on a plate (requires Rock Imager 2.10). New FRAP Capture Profiles. 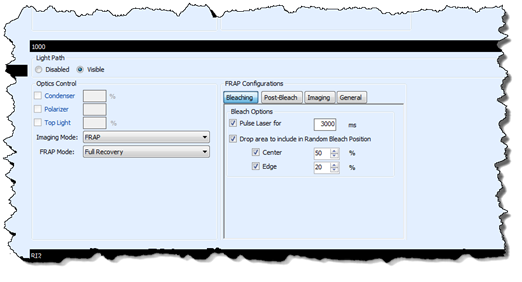 Rock Maker 2.8 introduces revamped FRAP capture profile settings, giving you greater control over fluorescence (Cy3 ) imaging mode, bleach options, FRAP post-bleach options, imaging options, and curve fitting options. Close Tab button added to each tab. Previously, the only way to close a page in Rock Maker was to click the “X” all the way at the top-right of the workspace. Now, you can click the X right next to the name of the tab. Support for Windows 8. In support of cutting-edge technology enthusiasts, Rock Maker is now compatible with Windows 8. Performance enhancements for experiments with large number of wells. 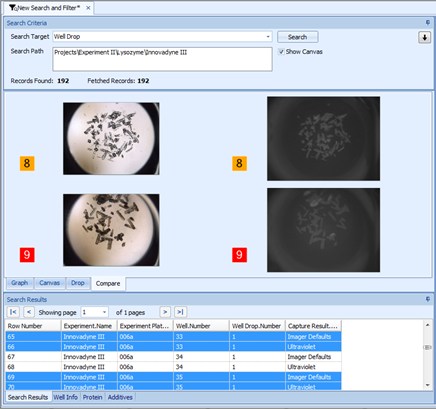 If you set up experiments with multiple 96 well plates or work with 1536 well plates, you'll notice much faster response times when viewing images and switching between different experiment views. An easier way to unlock and edit locked experiments. Previously, the only way to unlock a dispensed experiment and begin editing was through a right-click menu. Now, you have the option to unlock the experiment and continue editing right from the warning message that appears after an attempt to drag-and-drop an ingredient to the locked experiment. Empty drops automatically skipped on Drop tab. Tired of viewing empty drops when navigating the drop tab? Rock Maker now automatically jumps to the next drop with an image when you're moving through drops with your keyboard. More information available on the Imaging tab. We've added several new states and the identity of the source to the Imaging Schedule table on the Imaging tab.